In these times of decreasing school budgets, anything that will cost a school district significant funds is likely to be questioned. Many school districts consider hearing aids to be ‘personal devices’ like glasses, and therefore believe that they are not required to cover this expense. As demonstrated through two rulings from the federal Office of Special Education Programs, there ARE situations when it is appropriate for a school to purchase hearing aids for a student. The following does not constitute legal advice. Please refer to the original sources listed at the bottom of this page for more information. In 1977, OSEP said “no” in response to a question whether schools were required to provide eyeglasses and hearing aids. The 1977 OSEP Policy Letter states: “Individual prescribed devices (e.g., glasses and hearing aids, etc.) are generally considered to be personal items, which are not required to be provided under Part B [of P.L. 94-142]. 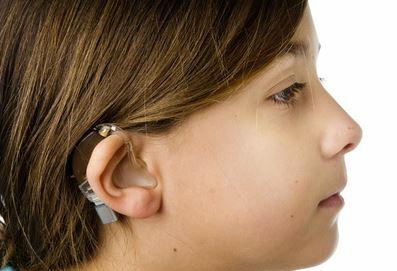 In 1993, the issue of schools’ duties to provide needed hearing aids and eyeglasses was raised again, this time in the context of the 1990 addition to the IDEA of the definition of assistive technology devices. The 1993 OSEP Policy Letter reverses its earlier judgment about “personal devices.” It makes two points: first, schools must evaluate students who have or are suspected of having hearing and/or vision impairments. This is both a general obligation under the IDEA, 34 C.F.R. ” 300.530 et seq., and it is a specific obligation under the definition of assistive technology services. 34 C.F.R. ‘ 300.6(a). Second, if those evaluations identify needs for devices that fall within the definition of assistive technology devices, then the school districts must provide them. The Policy Letter explains this duty in the context of the IDEA regulations related to assistive technology. No further mention is made of the “personal device” exception. The proper conclusion to be drawn from the Policy Letter is that the 1977 clarification did not survive the addition by the IDEA of the provisions related to assistive technology. Hearing aids and eyeglasses are without question within the scope of “assistive technology devices.” Assistive technology devices are defined to include: “any item, piece of equipment, or product system, whether acquired commercially off the shelf, modified, or customized, that is used to increase, maintain, or improve the functional abilities of children with disabilities.” 34 C.F.R. ‘ 300.5. 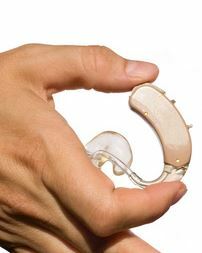 The question then, is this: if hearing aids are assistive technology devices, and can be shown to be necessary, does it automatically follow that school districts are required to provide them? The answer is “yes,” according to the 1993 OSEP Policy Letter. There also have been some decisions and policy letters since the 1990 Amendments. For example: 18 IDELR 627 (OSEP 1991) taking technology home); 18 IDELR 1039 (OSEP 1992) (FM training system can be an assistive technology device); Letter dated Nov. 19, 1993 from Thomas Hehir to Peter Seiler schools may be required to purchase hearing aids as assistive technology devices). See the Summary of legal supports and writings regarding assistive technology. As with any other special education service, the need for AT must be determined on a case by-case basis, considering the unique needs of each child. OSEP Policy Letter to Anonymous, 29 IDELR 1089 (11/6/97). The regulations require that AT devices and services are made available to any student with a disability, “if required.” 34 C.F.R. § 300.308. The basic standard to be met is whether the student needs the AT to receive a FAPE. OSEP Policy Letter to S. Goodman, 16 Education for the Handicapped Law Reports (EHLR) 1317 (8/10/90); 34 C.F.R. § 300.308. The question to be considered is the relationship between the educational needs of the student and the AT device or service. OSEP Policy Letter to D. Naon, 22 IDELR 888 (1/26/95). As noted above, “supplementary aids and services” can be used to assist a student in nonacademic, educationally-related settings. Therefore, when looking at the AT needs for a student, the “educational” needs must also include these nonacademic settings. See 20 U.S.C. § 1401(29) and 34 C.F.R. § 300.306. AT may be considered as special education, related services, or “supplementary aids and services” to maintain a student in the LRE. Note that because IDEA ’97 now defines “supplementary aids and services” and requires that those services also appear on the IEP, the above quote should be modified to indicate that if the AT is considered a supplemental aid or service it still must be included on the IEP. See 20 U.S.C. § 1414(d)(1)(A)(iii). In determining whether a student is benefitting from an education, the analysis cannot be limited solely to academic achievement. Even if a student is making significant academic progress, that can no longer be the end of the inquiry. By adding that the purpose of IDEA is to prepare students for employment and independent living, Congress simply took what already applied to students during the transition years and applied it to students of all ages. IDEA ’97 expands the question of what the purpose of an education is. Therefore, if a student will need AT to prepare for adult living, even if he or she is making academic progress, the AT should be provided. IDEA ’97 specifically authorizes the use of Medicaid. The regulations also authorize the use of a parent’s private insurance. 34 C.F.R. § 300.301(b). May a school compel a parent to use Medicaid or private insurance when it is available to the family? The U.S. Department of Education has stated that this use must be voluntary. A school cannot deny services if parents refuse to authorize the use of Medicaid or private insurance. Moreover, such use must not result in any cost to the parents, such as: copayment, deductible, or reduction of an annual or lifetime cap on coverage. OSERS Policy Letter to Rose, 18 IDELR 531 (4/19/91). The school can eliminate the possibility of cost to the parents by paying for the deductible or copayment. 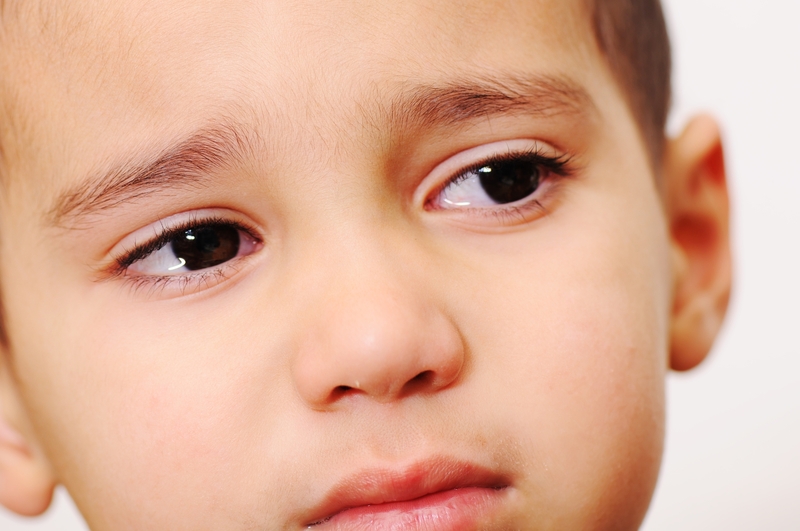 If the parent refuses to consent to their use, special education services cannot be denied. Financial cost includes: (1) out-of-pocket expenses such as deductibles or copayments; (2) a decease in available lifetime coverage or any other benefit, including the family paying for services that would otherwise have been covered; (3) risk of loss of eligibility for home and community-based waiver programs; and (4) an increase in premiums or the discontinuation of the insurance. 34 C.F.R. § 300.142(e). A school may pay the costs of accessing the private or public insurance for parents who would otherwise have consented to the use of the insurance. Id. § 300.142(g)(2). However, as with private insurance, a child’s right to a FAPE is not dependent upon whether parents consent to the use of public insurance, such as Medicaid. Federal Register, p. 12569, 3/12/99. If the parents refuse to give consent to using Medicaid, the school is still responsible for providing the recommended services. The definition of AT services includes repairing, maintaining and replacing AT devices. 20 U.S.C. § 1401(2); 34 C.F.R. § 300.6(c). Therefore, if an AT device is damaged during the course of its use, the school should be responsible for any repairs. Accordingly, the U.S. Department of Education has stated that if parents agree to use family-owned AT to fulfill the IEP, the school is responsible for maintenance and repair if it was damaged on the school bus or at school. The Department of Education reasoned that if the school did not use the family-owned device, it would be responsible for providing and maintaining a needed device itself. OSEP Policy Letter to Anonymous, 21 IDELR 1057 (8/9/94). Nevertheless, the Department of Education made the following observations in a policy letter on repairs and maintenance of AT devices: If the IEP Team determines that a student needs an AT device at home to receive a FAPE, the device must be provided at no cost to the parents. This means a school cannot charge parents for normal use and wear and tear. However, state laws govern “whether parents are liable for loss, theft, or damage due to negligence or misuse of publicly-owned equipment used at home in accordance with a student’s IEP.” OSEP Policy Letter to S. Culbreath, 25 IDELR 1212 (2/7/97). This policy letter does not discuss how the definition of AT service, which includes maintenance and repair, applies. It did, however, note that any state laws must still be implemented consistently with IDEA and the right to a FAPE. Id. The comments to the new regulations restate this proposition: that parents cannot be charged for normal use, and wear and tear, but that state law, not IDEA, will generally govern parent liability for theft, loss, or damage due to negligence or misuse of AT at home or in other settings. Federal Register, p. 12540, 3/12/99. Students whose disabilities do not meet the criteria under IDEA, but who still may need some specialized assistance, including AT, are covered by section 504. U.S. Dept. of Ed, Joint Policy Memorandum, 18 IDELR 116 (9/16/91); OSEP Policy Letter to Teague, 20 IDELR 1462 (2/15/94). A school could be required to take affirmative steps to avoid discriminatory treatment per 504 and ADA. Affirmative steps would be required if those steps did not impose undue financial and administrative burdens. Id. at 412. See New Mexico ARC v. New Mexico, 678 F.2d 847 (10th Cir. 1982). In keeping with the basic tenor of section 504, to prevent discrimination, schools must take all reasonable steps to ensure that students with disabilities have access to the full range of programs and activities offered by the school. 34 C.F.R. §§ 104.4, 104.21, 104.22, 104.34, 104.37. See Eldon (MO) R-I School District, EHLR 352:145 (OCR, 1/16/86); Beaver Dam (WI) Unified Sch. Dist., 26 IDELR 761 (OCR, 2/27/97)(Access to chorus room and auditorium); Saddleback Valley (CA) Unified Sch. Dist., 27 IDELR 376 (OCR, 5/5/97). A school district is not required to make every part of every building it owns fully accessible. However, it is responsible for ensuring that all of its programs are accessible to students with disabilities. 34 C.F.R. § 104.21. In meeting this program accessibility mandate, a school does not need to make structural changes to existing facilities if other effective methods are available [such as amplification devices]. However, the school must give priority to those methods which enable students with disabilities to participate “in the most integrated setting appropriate.” Id § 104.22(b). School districts have an obligation to inform parents of their rights and of the district’s rights to provide FAPE and to meet their ADA/504 obligations. Families have the right to choose to limit their child’s educational success by not supporting amplification use. If a parent has made it clear that they do not wish their child to use amplification in school then the school then it may be interpreted that the district’s legal obligations may have been fulfilled. The alternative would be to proceed to court or to file child neglect complaints, which would be very rare for a school district to undertake in this situation. If instead, the family is supportive of their child using hearing aids but cannot afford to pay for this technology, as long as educational needs are related to the child’s hearing loss and it is evident that educational needs can be addressed as a part of a child’s FAPE, then the district is obligated to assist the family in obtaining hearing aids for the student.